Are you one of those who is in dilemma whether to choose a carer in Big Data ? Are you planning to get certified and to acquire expertise in Hadoop, Spark etc. Read on. Big Data is the next big thing which would help companies to grow up above others and help them position themselves as the best in class in their respective sectors. These days organisations generate a huge amount of data irrespective of which sector they belong to and there is a need to store this data which is being generated so that it can be processed to help them make business decisions in future. This is where Big Data analytics play a very crucial role. With the use of Big Data platforms, a gigantic amount of data can be processed to develop patterns which would help the organisations in better decision making, which would help them to grow, increase their productivity and to help create value to their products and services. In order to process huge volume of data, Big Data analytics is necessary. It is expected that in the next few years, the size of the analytics market will evolve to at least one-third of the global IT market from the currents one-tenths.Organisations are looking to benefit from the power of Big Data and hence professionals with experience in the field of analytics are in huge demand. 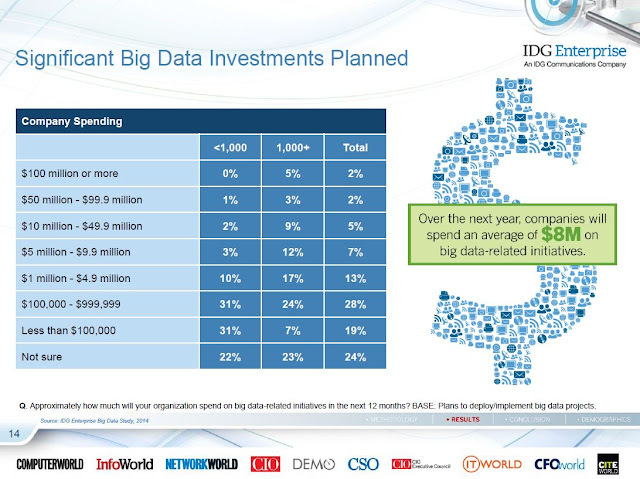 According to a research, it was found that an average enterprise will spend about $8M on Big Data related initiatives. Which in itself is a huge amount. It also claims that, 74% predict Big Data will be in mainstream use in at least one business unit or department. Its is used across multiple sectors. 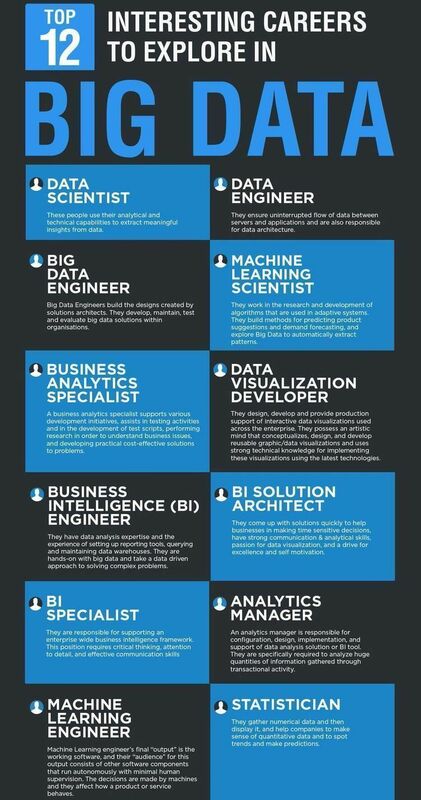 Based on an analysis by Wanted analytics it was found out that the top five industries hiring Big Data related expertise include Professional, Scientific and Technical Services (25%), Information Technology (17%), Manufacturing (15%), Finance and Insurance (9%) and Retail Trade (8%). 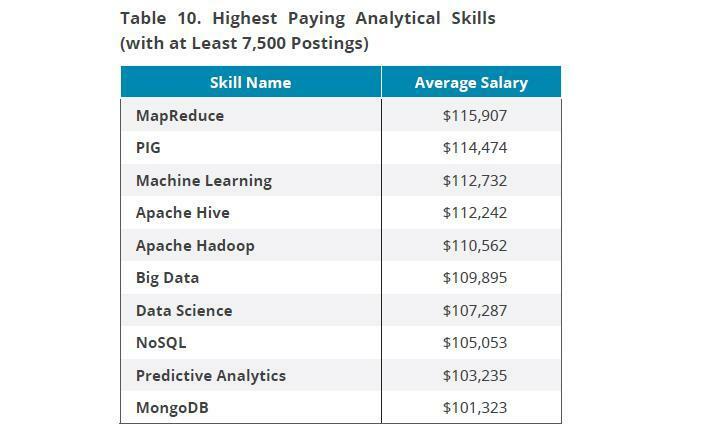 According to a Forbes article, “The advertised salary for technical professionals with Big Data expertise is $104,850 net of bonuses and additional compensations. Sample jobs in this category include Big Data Solution Architect, Linux Systems and Big Data Engineer, Big Data Platform Engineer, Lead Software Engineer, Big Data (Java, Hadoop, SQL) and others. With the Big Data market growing vigorously and as the demand for big data jobs overtakes the supply of talent, salary packages will remain alluring. No matter how advance technology gets, businesses will always require human intuition to study these data and to come up with patterns and ideas which would help an organisation to gain a competitive edge over others. There is always going to be a demand for professionals with analytical skills so that companies can benefit by using Big Data. Nash direct offers exactly what you want in the digital world of work: demanding, highly interesting tasks in market-leading technology companies and at the same time the security of a permanent job. We know how modern project work works and have been successful for more than 25 years. For the application of our customer, an IT company from the food industry, we are currently looking for the location Koln DevOps BigData Engineer (w / m / d) ". If this sounds like the kind of company you would like to work for, please don’t hesitate to get in touch. We will get in touch with you ! Here are the most basic interview mistakes that can cost you your next job. Whatever you do, avoid speaking junk about your previous manager, partner, or workplace. Your prospective employer is definitely not looking for a whiner with a complaining attitude. Always try to stay away from bad vibes and keep the conversation positive. Lying during a job interview is a big no-no as there’s a good chance that you will get caught, since many employers will conduct background checks. Yet, candidates still do it, and when they get caught, not only they won’t get the job, they will have wasted everyone’s time, and burned a bridge for the future. Wearing clothes that are too tight or too loose, too dressy or too casual, or wearing brands and logos in professional settings is a bad sign. Check out the company’s career page and social media profiles for photos of employees and events, and you’ll be able to get a sense of their culture and dress code. Either way, though, business casual is a good way to go, as it ensures you’ll be presentable and professional looking. Meeting the interviewer’s gaze is essential to making a good impression. failing to make eye contact is one of the biggest body language mistakes job candidates make. This could be because not looking someone in the eye can appear as if you’re trying to hide something and are therefore untrustworthy. At some point the interviewer is going to ask, “Would you like to ask any questions?” and your reply should not be “NO”. At this point, a lot depends on what has been covered already in the interview, but typically, you should have questions prepared beforehand or else question about something that was discussed till now. It speaks volume about your professionalism and ambition and lets hiring managers know that you are a serious candidate. One of the fastest ways to ruin a job interview is to answer a call or text in the middle of it. Checking your phone during an interview sends the message that you don’t take the interview seriously and shows a lack of respect for your interviewer and his or her time. Take temptation out of the way entirely by turning your phone off or silencing it before you start the interview. The most common complaint from hiring managers is that candidates don’t do their research about the role and the company. Hiring managers want enthusiastic people who show initiative, and the best way to demonstrate this during an interview is to come prepared. This doesn’t mean you must become an expert in everything the company has ever done, but you should have enough information to ask questions and to demonstrate how you might add value. There you go. Most common interview mistakes that can cost you the job. Good luck! It's misleadingly simple to commit errors on your resume and astoundingly hard to repair the harm once a business gets it. So counteractive action is basic, particularly on the off chance that you've never kept in touch with one. Here are the most widely recognised entanglements and how you can stay away from them. Your resume should be linguistically great. On the off chance that it isn't, bosses will read between the lines and make not really complimenting inferences about you, similar to: "This individual can't compose," or "This individual clearly couldn't care less." A. Worked with representatives in an eatery setting. B. Enlisted, procured, prepared and regulated in excess of 20 representatives in an eatery with $2 million in yearly deals. Both of these expressions could portray a similar individual, yet the subtle elements and specifics in illustration B will more probable catch a business' eye. At whatever point you attempt to build up a one-measure fits-all resume to send to all businesses, you quite often wind up with something bosses will hurl in the reuse container. Managers need you to compose a resume particularly for them. They anticipate that you will plainly indicate how and why you fit the situation in a particular association. Gone to bunch gatherings and recorded minutes. Worked with youngsters in multi day-mind setting. Utilized workstation phone record week by week meeting minutes and gathered them in a Microsoft Word-based document for future hierarchical reference. Created three every day exercises for preschool-age kids and set them up for a 10-minute occasion program execution. Rearranged 10 years worth of inconvenient documents, making them effectively available to division individuals. Notwithstanding what you may read or hear, there are no genuine standards overseeing the length of your resume. Why? Since individuals, who have diverse inclinations and desires where resumes are concerned, will read it. That doesn't mean you should begin conveying five-page resumes, obviously. As a rule, you as a rule need to restrict yourself to a most extreme of two pages. Be that as it may, don't feel you need to utilize two pages on the off chance that one will do. On the other hand, don't remove the meat of your resume just to influence it to adjust to a subjective one-page standard. Businesses do read your resume's goal articulation, yet time and again they drive through obscure pufferies like, "Looking for a testing position that offers proficient development." Give bosses something particular and, all the more critically, something that spotlights on their requirements and also your own. Case: "A testing section level advertising position that enables me to contribute my aptitudes and involvement in raising support for philanthropies." Abstain from utilizing phrases like "in charge of." Instead, utilize activity verbs: "Settled client inquiries as a component of an IT help work area serving 4,000 understudies and staff." You might be enticed, for instance, to dispense with specify of the occupations you've taken to win additional cash for school. Normally, be that as it may, the delicate aptitudes you've picked up from these encounters (e.g., hard working attitude, time administration) are more vital to bosses than you may might suspect. On the off chance that your resume is one end to the other content including five unique textual styles, it will in all likelihood give the business a migraine. So demonstrate your resume to a few other individuals previously sending it out. Do they discover it outwardly alluring? On the off chance that what you have is no picnic for the eyes, modify. I once worked with an understudy whose resume appeared to be inconceivably solid, yet he wasn't getting any chomps from businesses. So multi day, I tongue in cheek inquired as to whether the telephone number he'd recorded on his resume was right. It wasn't. When he transformed it, he began getting the calls he'd been anticipating. Lesson of the story: Double-check even the most moment, underestimated points of interest - within the near future. Templeton & Partners is looking for freelance iOS Developer to join one of our International Finland Based clients in capital of Finland – Helsinki. We’re looking for iOS Developer to be a part of the team that is developing an app which turns smartphone into a payment instrument. The app allows to pay in shops around the world as contactless payments and online purchases with Masterpass. It also allows to easily monitor the balance and transactions on all your cards and your daily spending. Master the Cisco command in troubleshooting sessions, used to Cisco TAC process and communication demand. Good general network knowledge including the Firewall and LB. IT Consultant required to join one of our leading financial software clients. This well-established and growing company are now seeking an IT Consultant to join their Stockholm team. The company already hold a great share within the market and are now rapidly expanding; they take great pride in their teams and are looking for employees they can invest in, move forward with their business and help compliment their growth. 1st -2nd line support, including fixing and logging. Experience working within an IT Support role, including laptop/desktop support. Technical skills including SQL, Unix, Windows and basic networking. Highly self-motivated, self-starter and team player. The Reference Data Services (RDS) area operates in a dynamic environment that brings exciting new opportunities and challenges. As a member of this area, the applying candidates will be responsible for developing and supporting AWS based enterprise-scope APIs (REST and non-REST) and user interfaces for enterprise master data and common reference data. Candidates must have strong skills in developing and using AWS services. We are currently working for a dynamic trading company which has recently launched their operation in Amsterdam, and they are seeking innovative, rational C++ engineers to help run their trading systems. This role would give you the opportunity to steer the direction of the company’s infrastructure, working in an environment which prides itself on pushing the boundaries of technology and ensuring the highest standards. If you want a role where you can join a fast-growing, innovative and goal-focused organisation, this is for you. My client is a technology driven financial firm operating a large-scale global trading operation. They have consistently pioneered investment opportunities since their foundation, and have remained profitable throughout their existence. They focus on technical and scientific research, constantly striving to invest in modern technology, and attracting fresh, innovative talent to work on their product. Canada Immigration is a delightful adventure for many of the Indians and people around the world. Canada is officially bilingual and world’s most ethnically diverse and multicultural country. Canada values each and every immigrant as a valuable gem for their country; Canadian people give familiar recognitions for the roles played by the immigrants in building Canada a much better place to live. 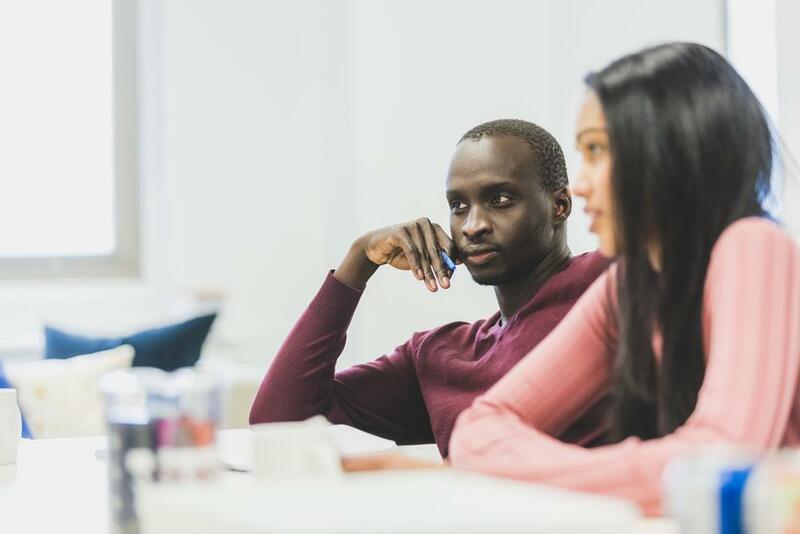 The Canadian Experience Class: After spending few years in Canada, the language skills boost up gradually for both English and French, and these credentials are abundant to be used for the prosperity of Canadian society. The Provincial Nominee Program: The province has its own rules for choosing immigrants. Quebec – Selected Skilled Workers is the most popular province. The province of Nova Scotia and Saskatchewan have recently opened there doors welcoming skilled workers to immigrate to Canada and live as permanent residency. Start-up visa: it is for the experienced entrepreneur or investors, the start-up visa is a business programme designed by Government of Canada to allow immigrant entrepreneurs to set up a business in the country with the help of experienced private sector organizations who have expertise in working with start-ups. Canada Student Visa The education system of Canada is enriched with world class facilities. It has the top most universities and affordable fees structures. Being a safe and beautiful place for living Canada has proved to be a new terminal for students. And being at student visa one can avail the opportunity to work simultaneously for few fixed hours in a week. And one can be trans formative to permanent residency in Canada. The rules and recommendations keep on changing from time to time. We are a group of Visa Consultant, Immigration experts and Global recruiters. For any related information do not hesitate to reach out to us. Happy Job Hunting !